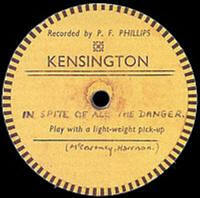 British 78rpm record labels whose name begins with K. Using the letter links below you can see pages for other letters. Kalliope Kalliope (pronounced Kal-eye-oh-pee) were originally made in Germany for local consumption, where they were successful for 30 years. The British equivalent was not so successful, however. It was introduced in 1913 by the Anchor Gramophone Company and cost 1/- , comp[eting with the very cheapest records at the time of the 1913-14 price war. 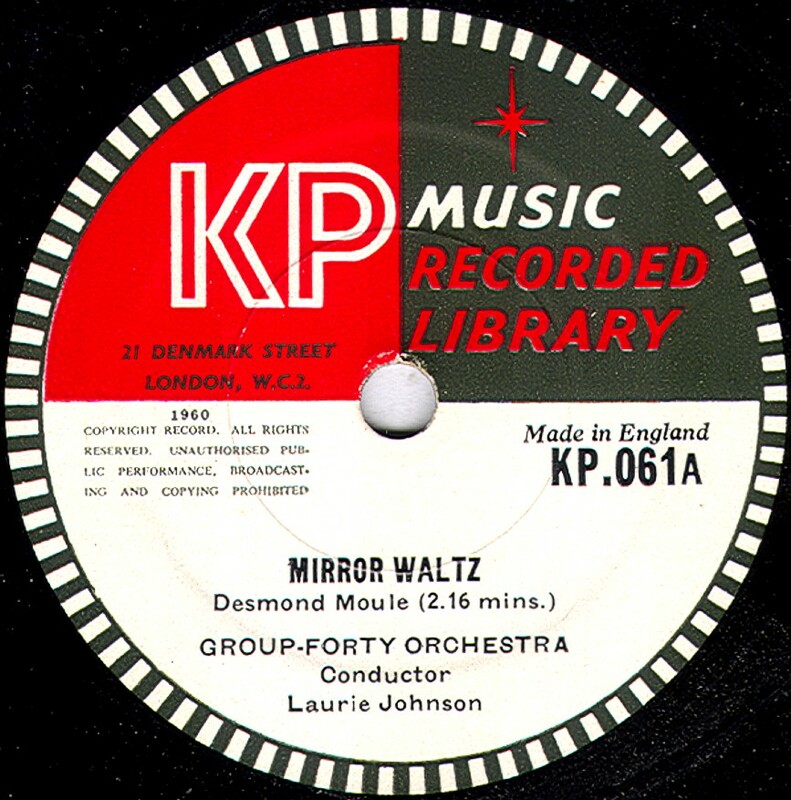 The catalogue numbers were in a 6000-series and masters were derived from German Anker & Kalliope, the latter including recordings made by J Blum & Co from their recording rooms at 220 Old Street, London. 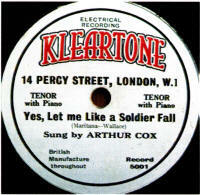 The label ceased production with the outbreak of war in 1914. (sold in Australia) These were made by English Beka (Lindström) for export to Australia during 1913 & 1914. The catalogue numbers matched those of the Beka issues, though it is not known if the whole Beka catalogue was issued on Kalophone. 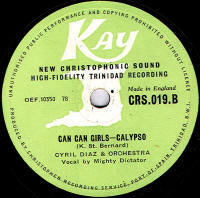 Kay These were made by EMI and were of recordings made in Trinidad. They date to post-WWII. 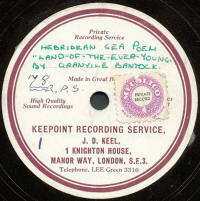 Keepoint Recording Service One of many private recordings companies in London from the post-WWI period. Keith Prowse Keith Prowse was a music publisher trading at 159, New Bond Street, London. 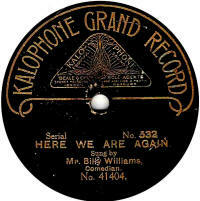 In 1927, they issued 3 records (catalogue numbers K-101 to K-103) using Gennett & Vocalion masters from America, & costing 3/- each. 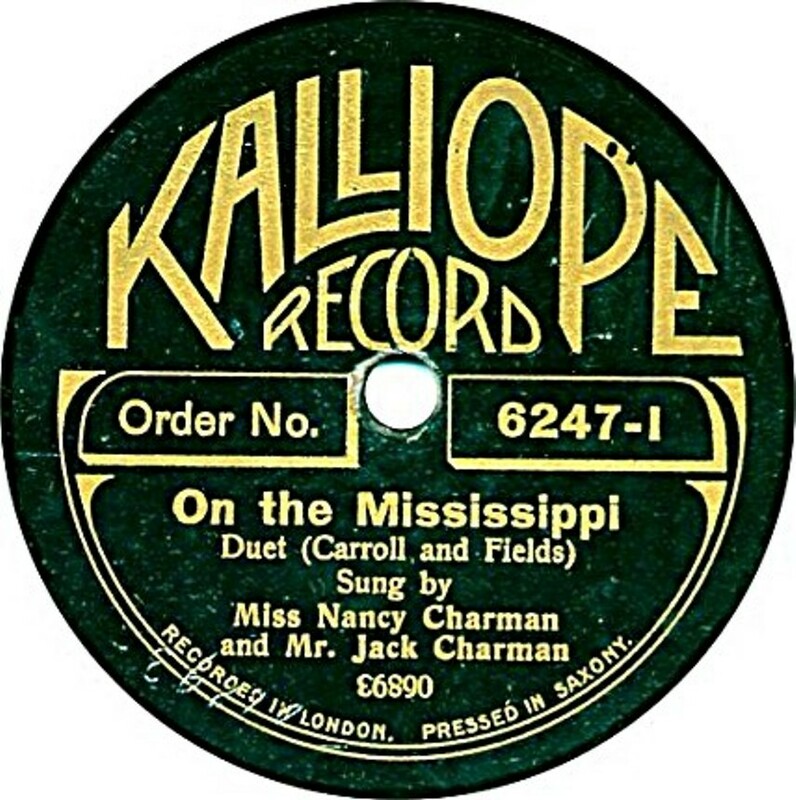 The records were manufactured by Vocalion, UK. A complete listing follows! 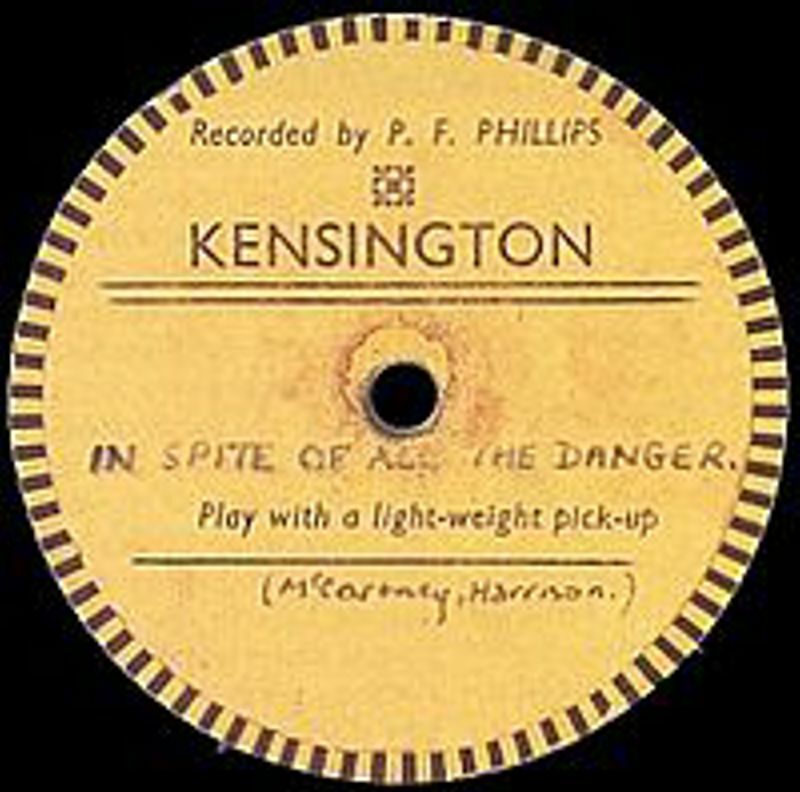 Kensington A private rcordings company in London, probably most famous these days for the record shown here, recorded by members of The Beatles before their famous days. 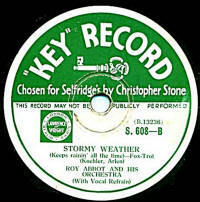 Key These records were made for Selfridges during 1933 & 34. 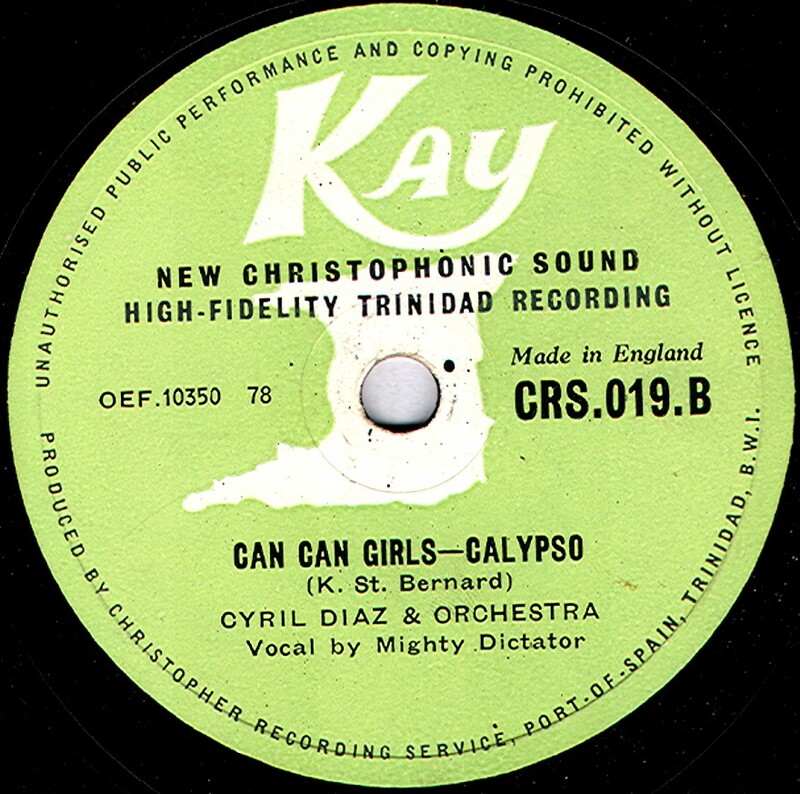 The selections were chosen by Christopher Stone (usually referred to as Britain's first "disc jockey") and were pressed by Decca using masters also available on Panachord and Winner. The catalogue was quite a small one running from S-600 to about S-630 and artists were generally cloaked in pseudonyms. 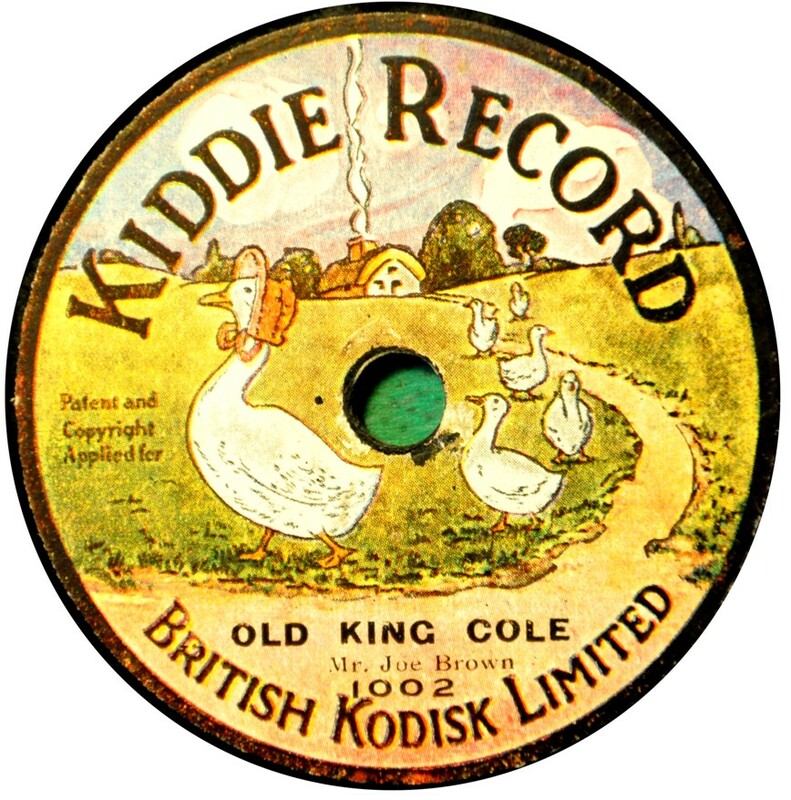 Kiddie Kiddie Record was a 6" single-faced disc made for British Kodisk limited of 4 Ansdell Street, London W8 (which had nothing to do with Kodak) and sold by Murdoch Trading Company of London. They were first advertised in April 1923 and there were 5 different records available in an album, which cost 5/- in total. They were numbered in a 1000 series starting at 1001. 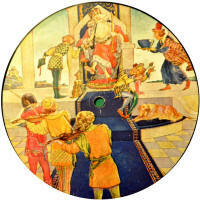 The reverse side of each record is a picture illustrating the story found on the recorded side (see example, right). It is not known if further issues were produced, but G.A. Bryan Ltd (proprietors of Selectaphone Machines Ltd) was still stocking them in 1925. 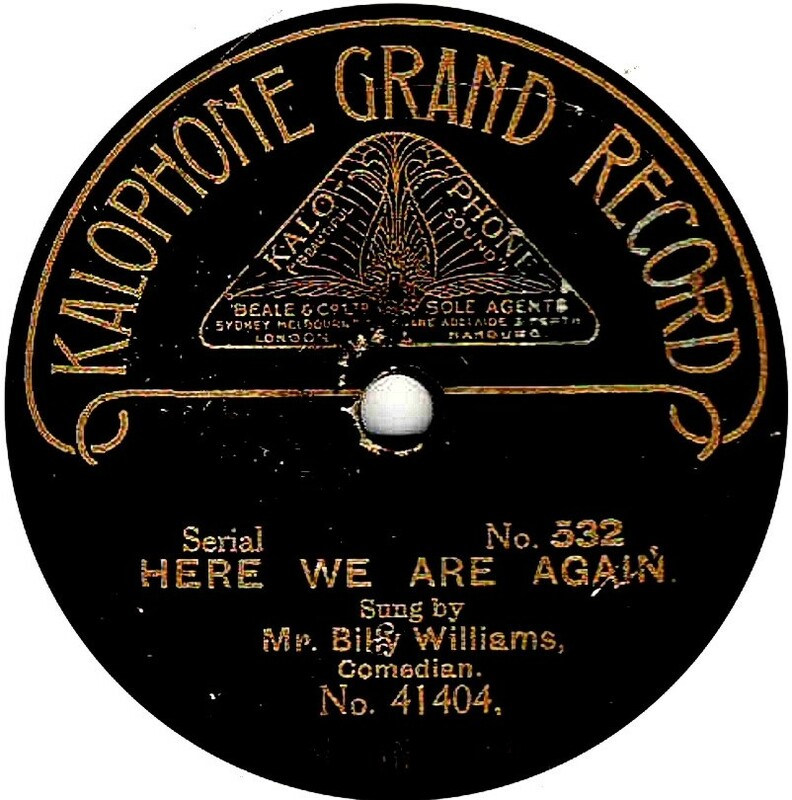 It is possible they are the same recordings as those with the same name being sold in America in 1922 and recorded by Emerson Records. 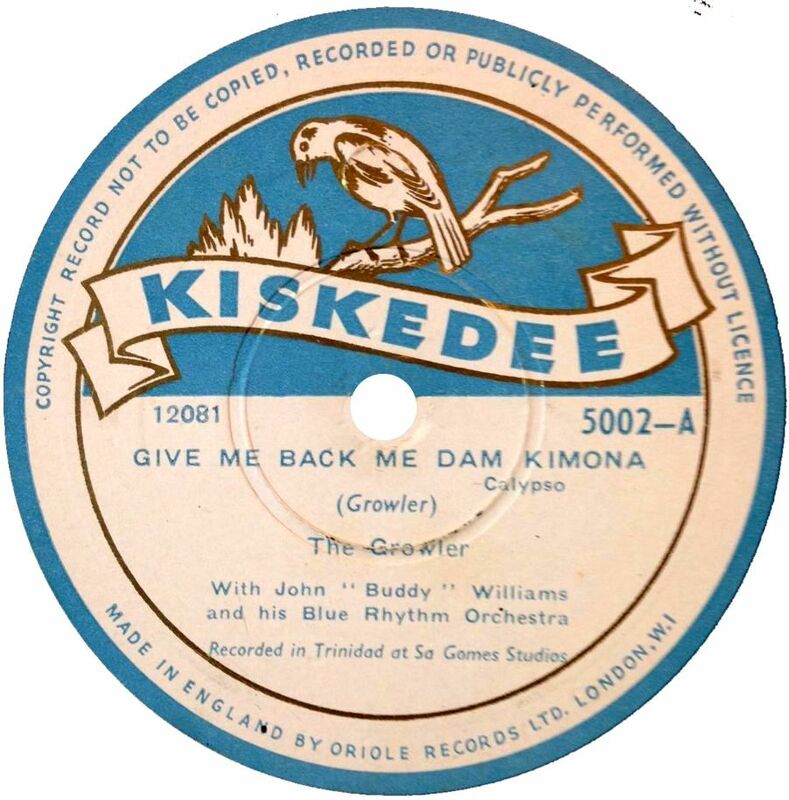 It should be noted that British Kodisk also produced the metal "Kodisk" records for home recording purposes, and that Emerson in the US, also produced similar records under the same name. Thanks to Richard Prout for sending me the images; and to Robert Girling for extra details. If anyone has any information or further examples of this label, please email me. 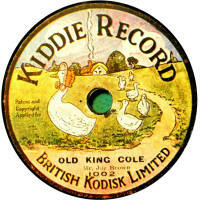 Kidditunes A children's record dating from the early 1960s. 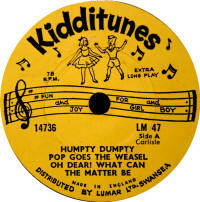 Kidditunes were 6" in diameter and made from vinyl. They were made in England for Marx Toys and sold by Lumar Ltd of Swansea. 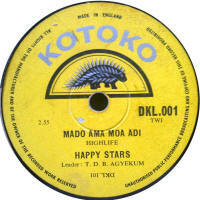 As you can see from the image, the label give no performers' names nor does it give any clues to the source of the recordings. The packet asserts that they can be played with any needle on any gramophone. Marx did produce a toy wind-up gramophone which used steel needles, but I would imagine these would make short work of a vinyl record ! Thanks to Richard Prout for the images. Kiddyphone Obviously aimed at the younger people, these records were produced by Crystalate from about 1924 to 1930. They were initially 7" in diameter, before being reduced to 5½", then subsequently enlarged to 6". Most recordings were made specifically for the smaller size, but some were edited dubs of standard 10" Imperial issues. 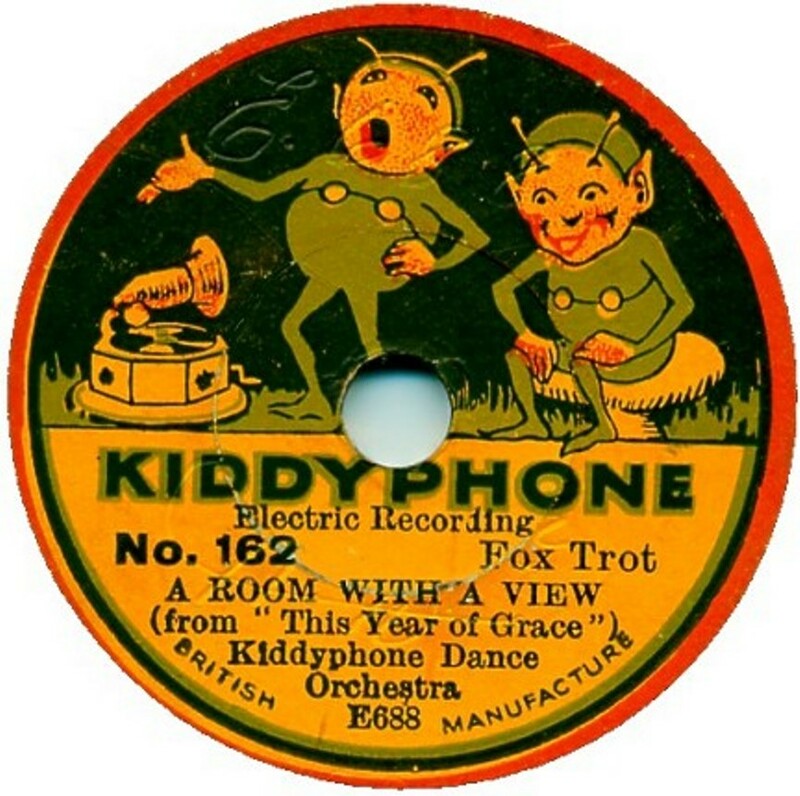 Most of the dance records were issued as Kiddyphone Dance Orchestra, though a few later items were, amazingly, correctly labelled "J. Wilbur's Band". Kid-E-Phone These are 4" records, double-sided and without any catalogue numbering, or, indeed, any numbers on the label at all, just some references in the "wax". 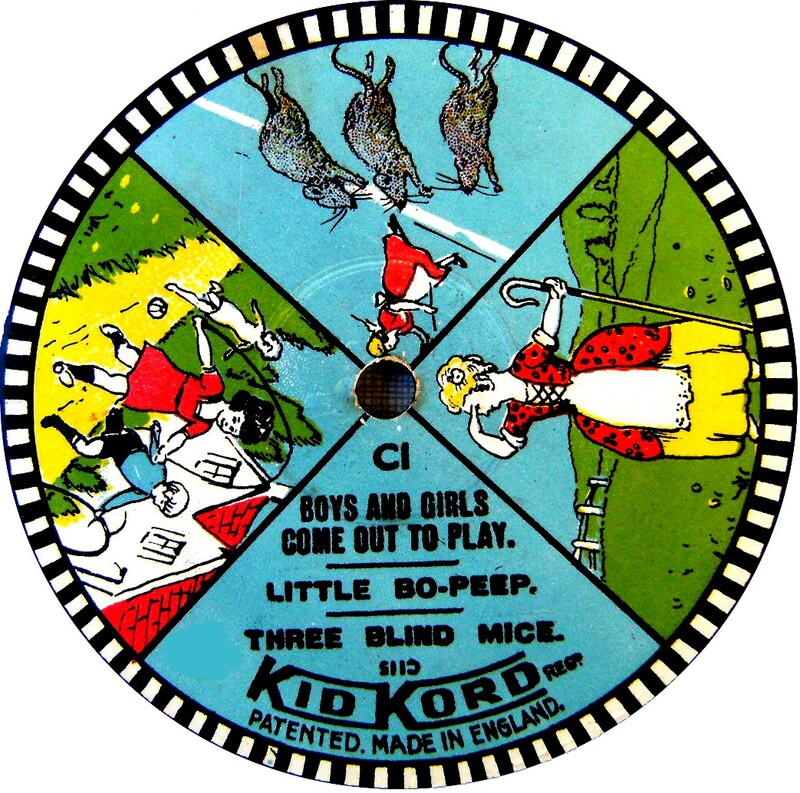 From the back of the sleeve we can infer there were at least 9 different records available, and most likely a matching toy gramophone. The record's surface of this example has FAB1 and FAB2 hand inscribed, which must just refer to "Fables", the title of this one, so one must assume the others have something similar - an abbreviation of the title and a number designating the side. Also in the "wax" on side 1 is the word ORIOLE (also hand inscribed) which could refer to the manfacturer being Levy Brothers who used ORIOLE as a trade name for their records. Thanks to Richard Prout for the images and informaton. 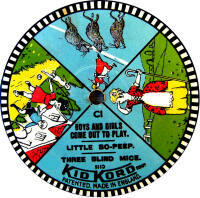 Kid-Kord This was an 8" Children's record probably dating to the 1930s. 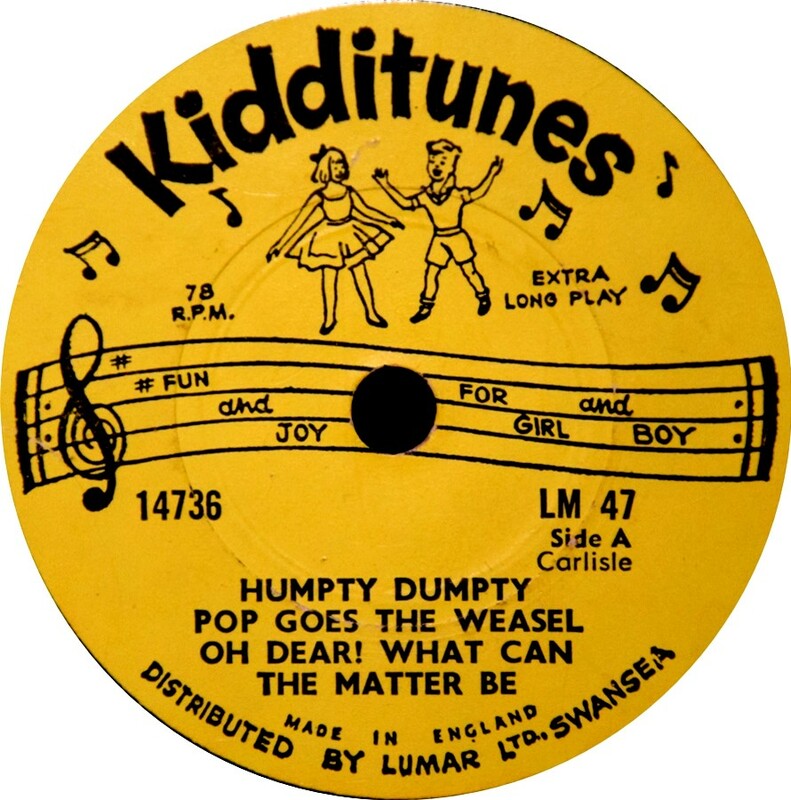 The content was usually songs which would appeal to children, including the usual well-known nursery rhymes, usually 3 or 4 to a side, though the records only play for about 2¼ minutes. The labels have coloured artwork depicting each song and so are different for every side issued. The records were available in albums of 6 records and had catalogue numbers starting at C-1, with matrix numbers in a C-100 range. I am not certain who recorded them, but I have a feeling Decca pressed them as they have the BUCKINGHAM stamper codes in the run-out. 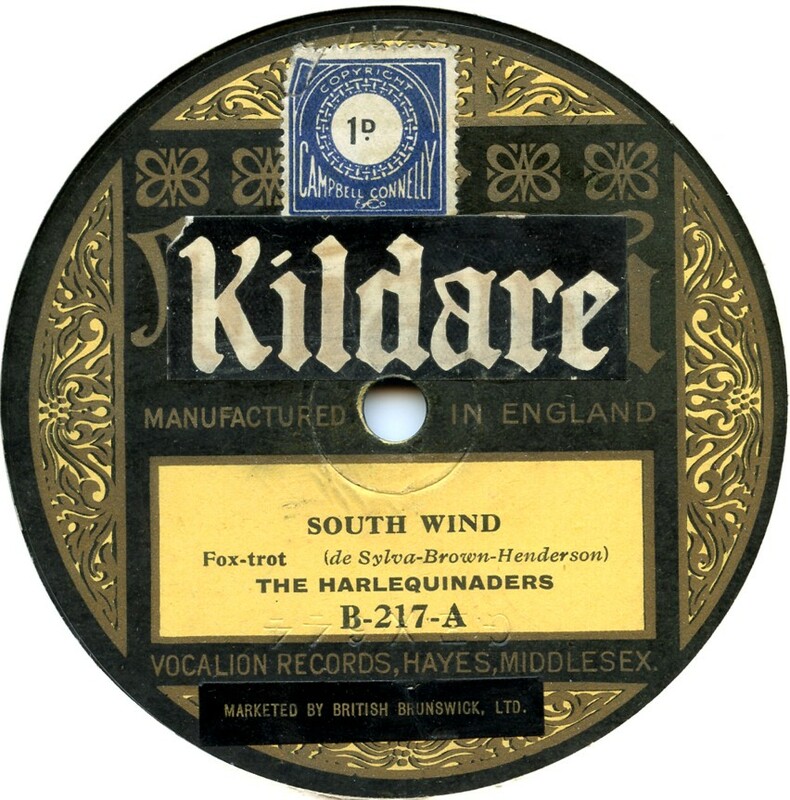 Kildare Kildare was the name that some late Vocalion records were sold under. 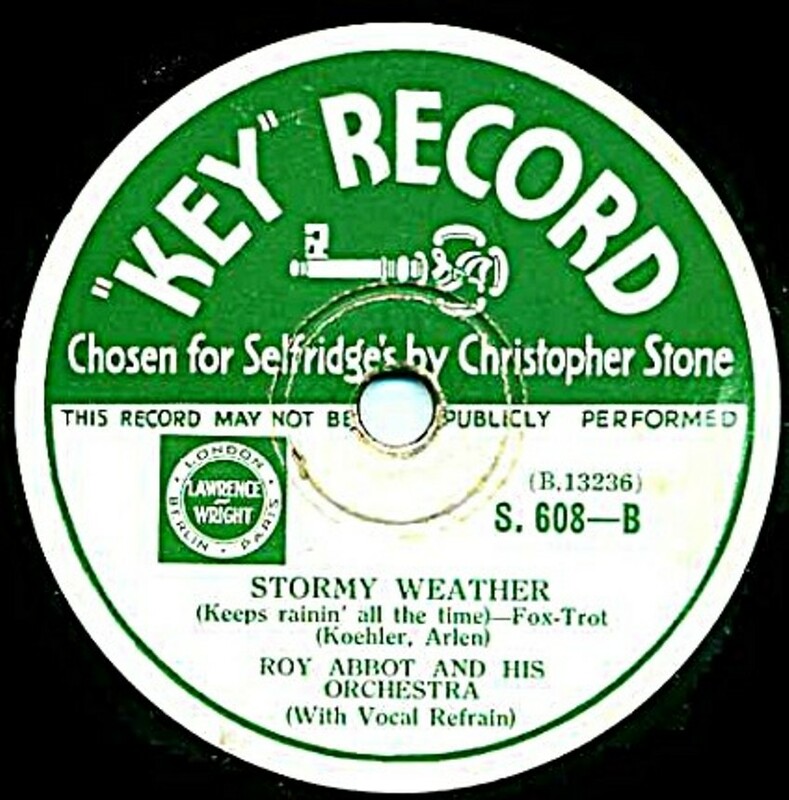 The records were sold by Selfridges. 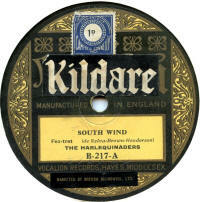 The labels have a sticker with the "Kildare" name stuck over the "Vocalion" name on the label. They are usually the B-200 series Vocalions, or the very last few X-series (by then in the 10,000 range). 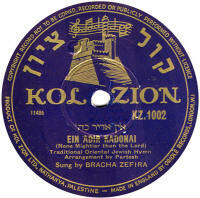 In fact, it is extremely rare to find a B-200 series Vocalion without the Kildare sticker (or the remains of one) implying that there may have been legal reasons why the Vocalion name could no longer be used for these records, possibly something to do with the various connections (or lack of them) between Brunswick & Vocalion in Britain & America. 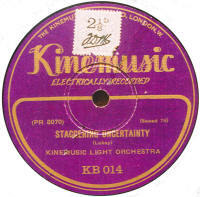 Kinemusic This label was produced by Parlophone in the about 1929-30 and concentrated on light music, presumably for Cinema use. 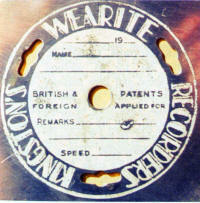 Known examples use Parlophone's Private Recording (PR-prefix) matrix numbers believed to date from this period. 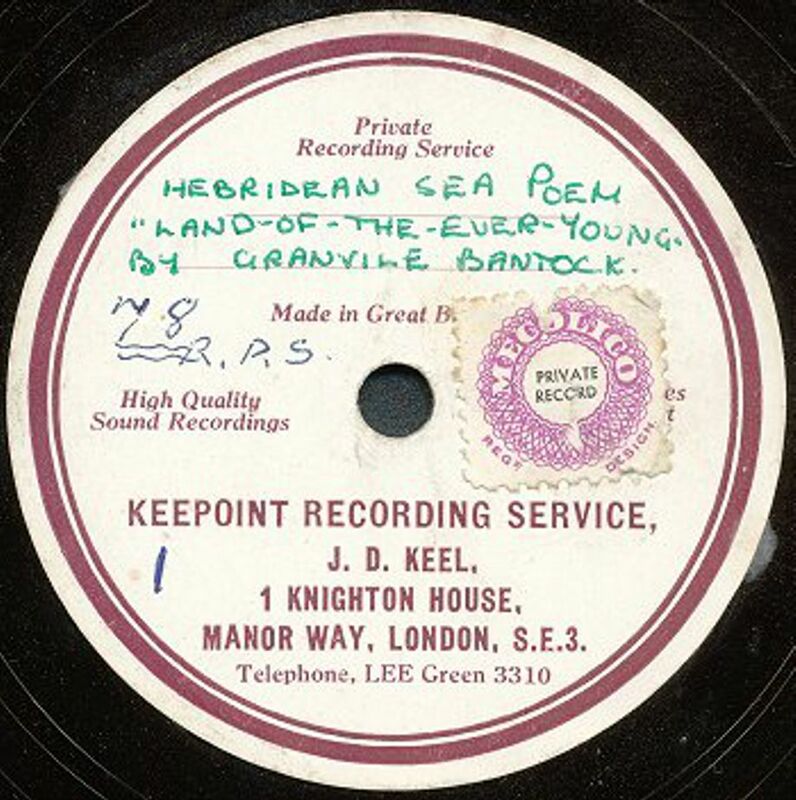 Based on the copyright stamp seen on the accompanying image here, they cost about 6/- or 7/-, which is expensive, about twice the price of a popular HMV of the period. King Jazz This label was the UK outlet for the American King Jazz recordings. They were available from late 1949 onwards, but for how long? They were pressed by Decca. The first record, KJ-1 was also issued on Vogue with this catalogue number; whether others were also, I don't know. Kingston Arthur Kingston formed his company, Kingstonphone Co. Ltd, probably at the start of the 1930s, with the aim of selling his home recording system. Such equipment was never cheap: the machine cost 45s (£2 5s). 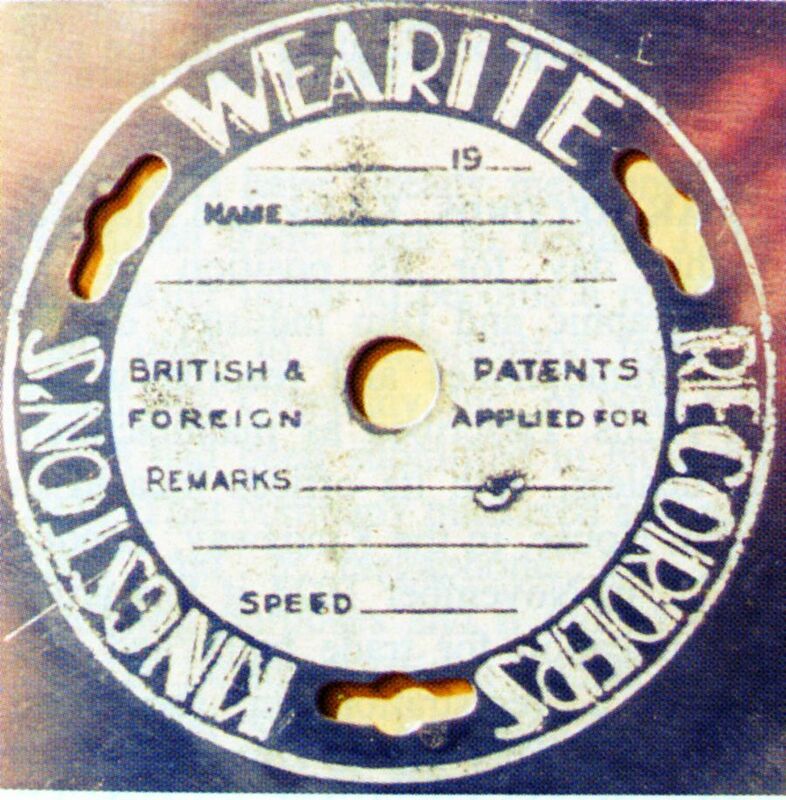 The company was wound up in July 1931 and a new company bought the assets and sold "Kingston Wearite Home Recorders". 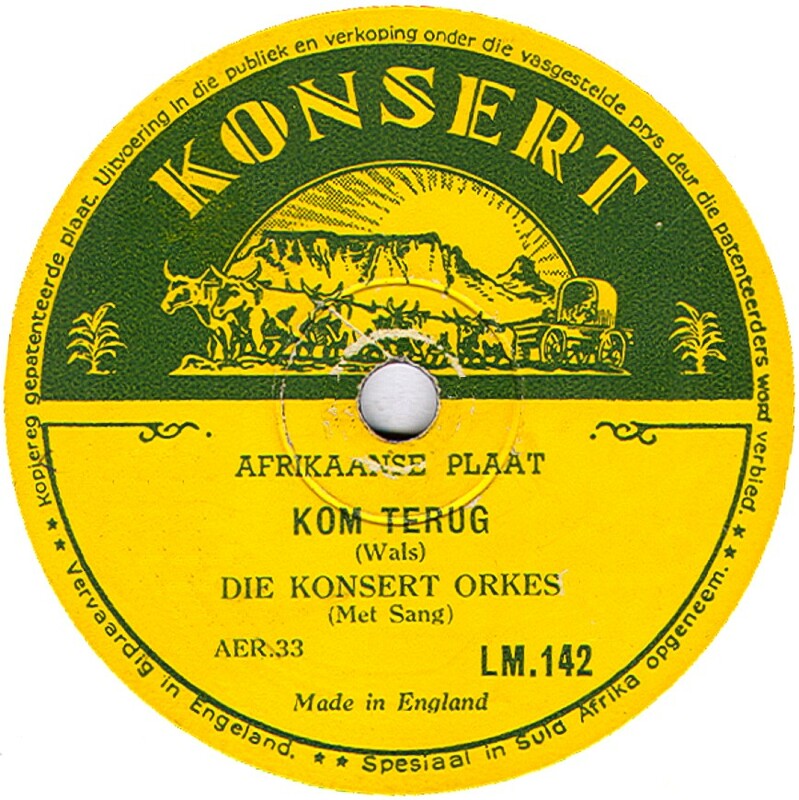 The blank discs (see image) cost 4/6 per dozen; note the three extra holes round the rim of the label, to prevent slippage when recording. I believe the discs were made from a soft metal, probably aluminium. 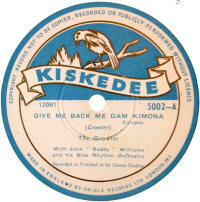 Kiskedee Made in England by Oriole, from original recordings made in Trinidad. Kleartone This is a mystery record. In Frank Andrews' write-up in FTR 12, he had only seen a photograph and not the actual record. 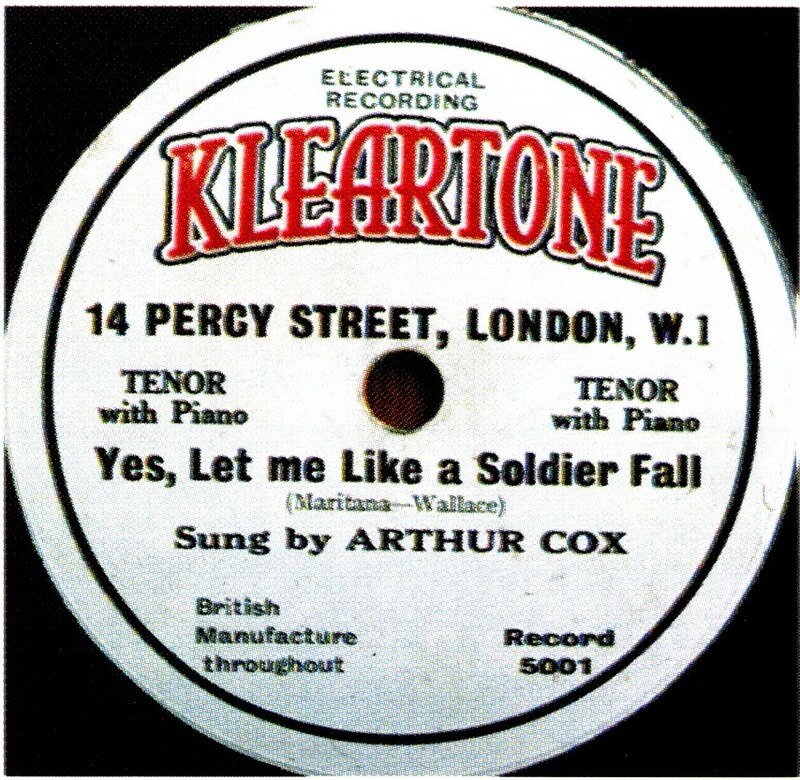 The singer, Arthur Cox, was a Zonophone artist in the 1920s, but whether this is pasted over a Zonophone, or a separate recording, we don't know, until one can actually view an original record. 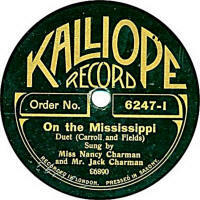 Label image taken from CLPGS "For The Record" 12. 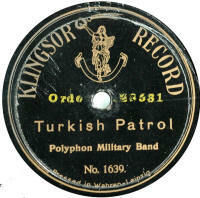 Klingsor Klingsor Records were annouced for sale in the summer of 1910. 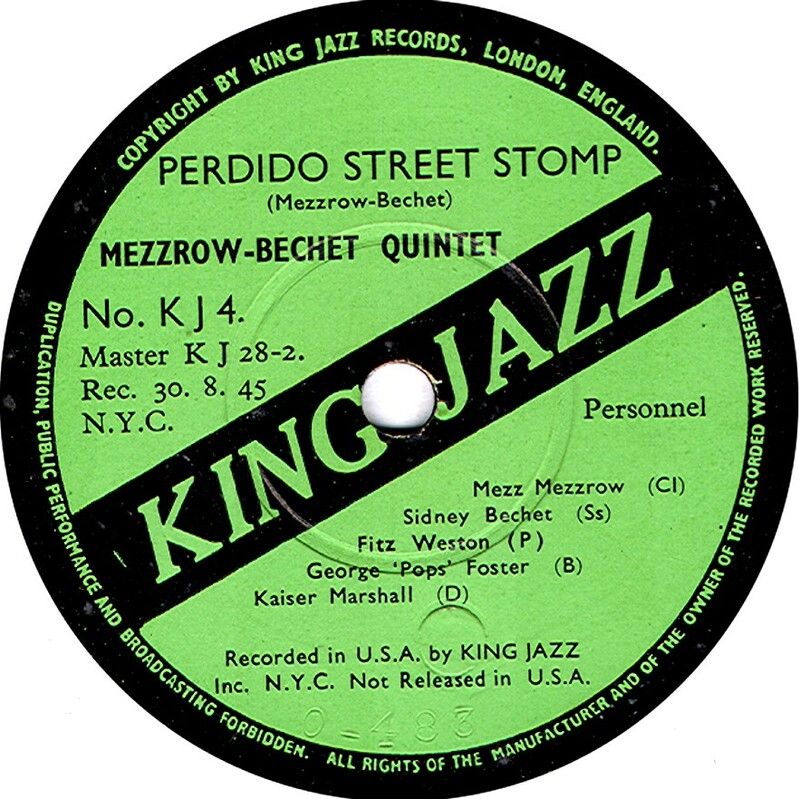 They were sold by The Klingsor Works of 22-24 Tabernacle Street, London, where British recordings for the label were also made; the rest of the catalogue made up from masters either recorded by Polyphon in Germany, or available to that company. 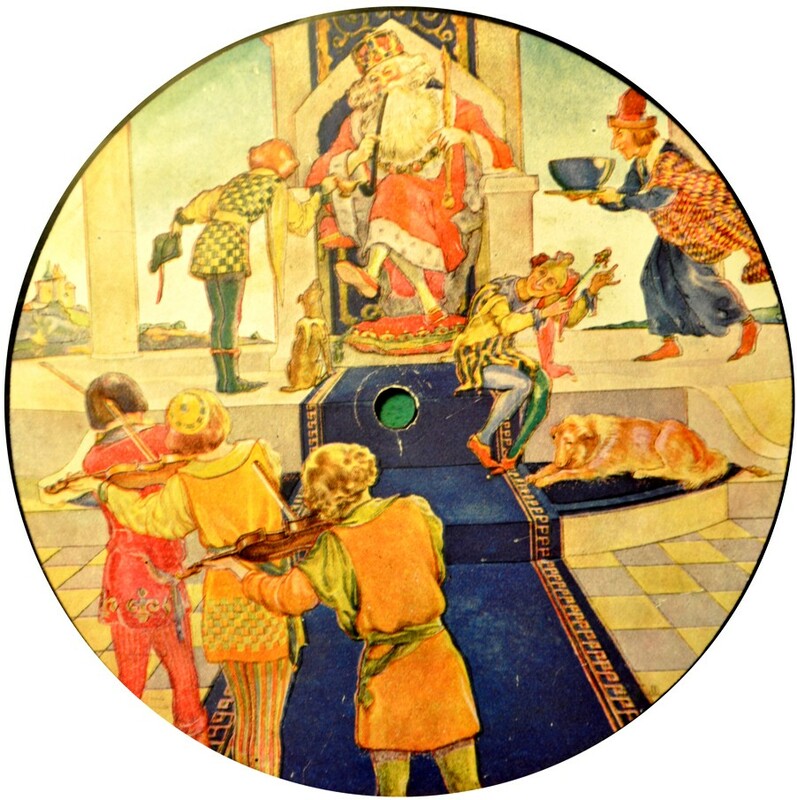 The pressings were by Polyphon in Leizig, Germany. Originally they were to have been labelled as Polyphon, but "Klingsor" was decided upon instead as it had a good British reputation for their British-assembled gramophones. Klingsor records had catalogue numbers (described on the label as "Order No." starting from 8501. The British repertoire had face numbers in the 10000-series. 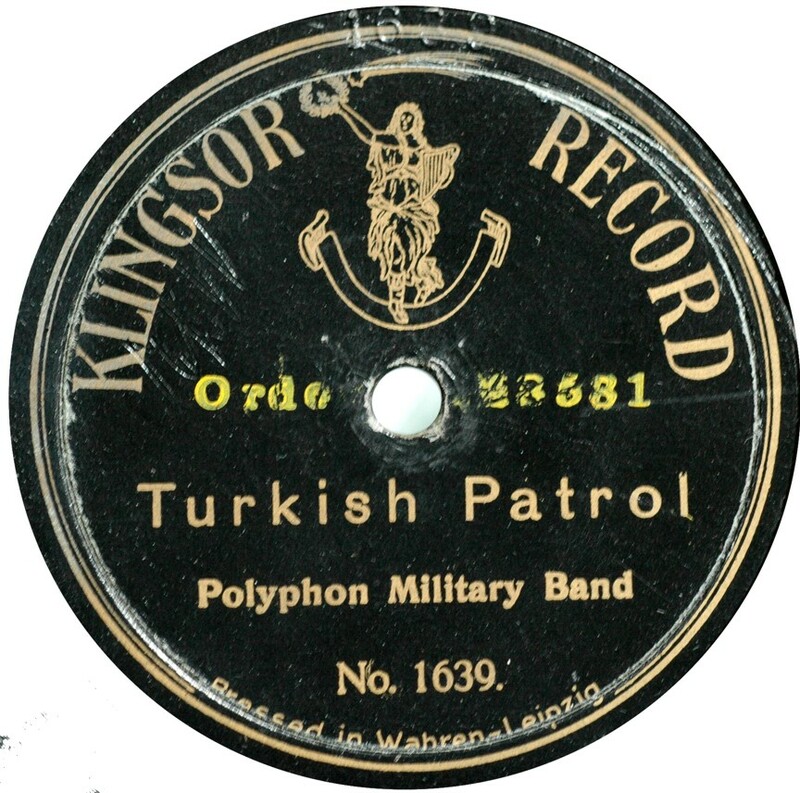 In late 1911, with a change of London agent to The Polyphon Instrument Co, the label name was changed to POLYPHON and existing stocks of Klingsor discs sold off over the next six months by J.G. Murdoch & Co.
A listing of this label (combined with Polyphon and Pilot) has been published by the CLPGS. Thanks to Ray Stephenson for the label photo. Kodak This was a Vocalion product from the early 1920s, made for the Kodak Camera Company and exported to Australia. The catalogue ran from Z-500 or 501 into the Z-600s. 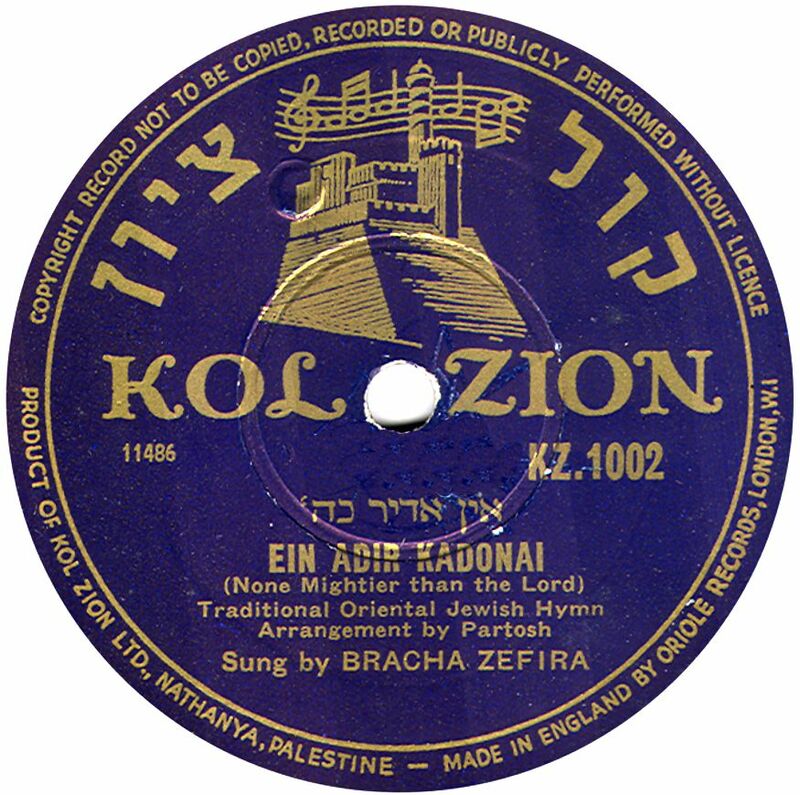 Kol Zion Thanks to Bill Dean-Myatt for providing the label image. 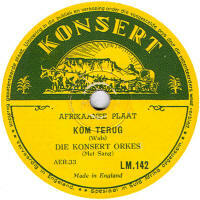 Konsert Made in England, probably by Decca, for the South African market and dating to post-WWII. 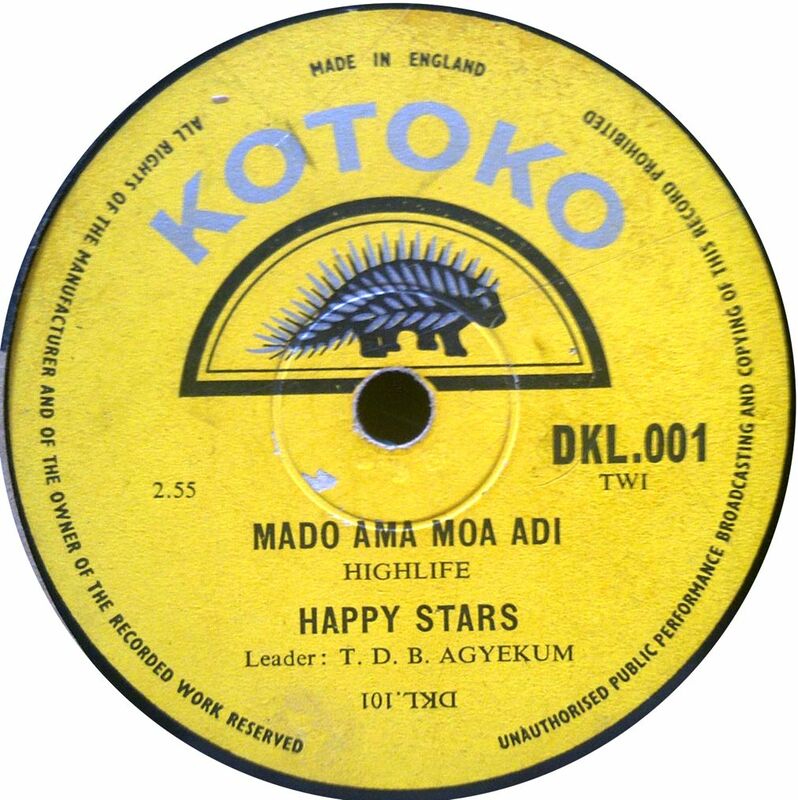 Kotoko Thanks to Bill Dean-Myatt for providing the label image. 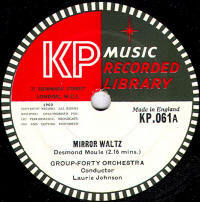 KP Music Dating from the late 1950s or ealry 1960s, these were produced for the Keith Prowse Publishers and contain library music.